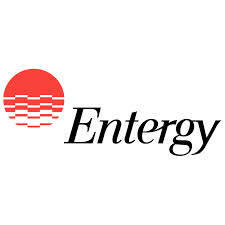 Entergy Corp. Executive Vice President and Chief Operations Officer Mark Savoff and Executive Vice President and Chief Nuclear Officer Jeff Forbes will retire during the first part of 2016, the company announced on Monday. Forbes and Savoff will serve in an advisory role for the remainder of this year, and Tim Mitchell has been named as acting chief nuclear officer beginning Nov. 1. Savoff has led significant business projects during his tenure with the company. He began working with Entergy in 2003 and began his service as chief operations officer in 2010. He played a key role in the company's transmission to the Midcontinent Independent System Operator and in the construction and continued operations of the Ninemile Point Unit 6 facility. A successor has not been named for the chief operations officer position. Forbes also joined on to the company in 2003 and oversaw 11 nuclear units prior to his appointment as chief nuclear officer. "I greatly appreciate Jeff’s 12 years of company service and his leadership as chief nuclear officer for the fleet," Entergy CEO and Chairman Leo Denault said. "Retirement is something Jeff has contemplated for some time, and on behalf of the leadership group, I wish him and Mary well in this next chapter of their life together." Prior to being appointed to acting chief nuclear officer, Mitchell served as the senior vice president of nuclear operations.